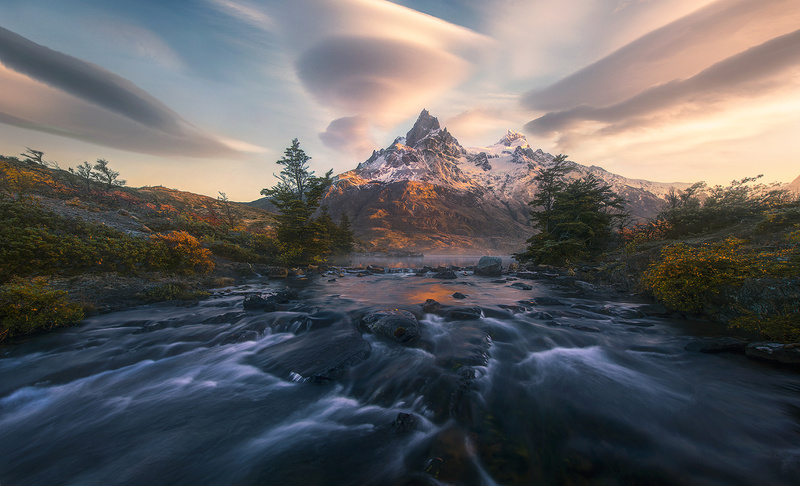 A very different perspective on some of the high peaks in Torres Del Paine, and the classic lenticular clouds that so often compliment this landscape. . Photo © copyright by Marc Adamus.